Senior Megan Smoulder competes in a tournament last season. Smoulder is one of nine athletes on the women’s golf team at Seton Hill for the 2108-19 season. Photos from SHU Athletics. 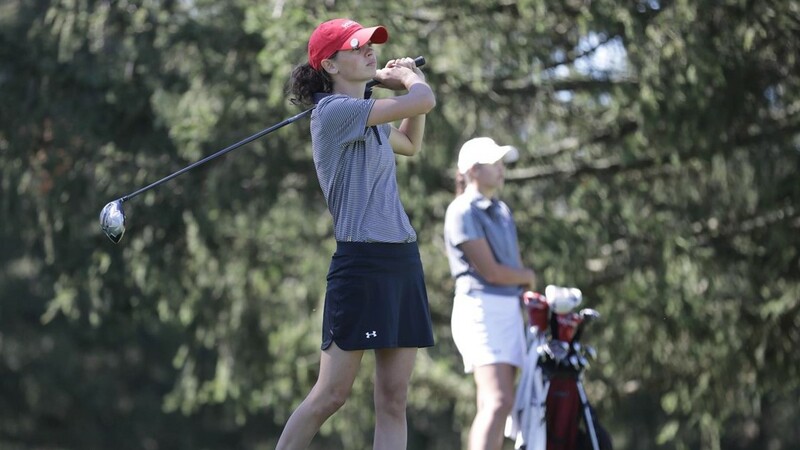 Senior Megan Smoulder has been golfing her whole life, so as she searched for colleges, Seton Hill University stuck out because of its golf program. However, with a smaller roster than most other athletic teams and no local competitions, not everyone on campus is aware that the golf team even exists. Despite this, the golf team has grown since Smoulder’s freshman year, when there were only four women competing. This season, there are nine women on the team, including one senior, two juniors, five sophomores and one freshman. “We’re building as a team and getting stronger, and I feel like in the future, we’ll be better because we’ll have a bigger team,” Smoulder said. Although the team often practices individually at Totteridge Golf Course in Greensburg, they compete together to determine who will participate in a competition. “Only five out of the nine can go, so we usually go play nine holes, and whoever has the lowest scores for those nine holes goes to the tournaments,” Smoulder said. Last season, the team’s best performance was at the St. Vincent Fall Invitational, where they finished in first place. Smoulder finished first individually, followed by sophomore Heather Haas in second place and junior Emily Doell in fifth place. The team also placed sixth at last year’s PSAC Championships. This season, the team has already competed three times. They traveled to West Virginia to compete in the Glade Springs Intercollegiate Tournament from Sept. 3-4, where the team earned seventh place. Haas placed highest individually for the Griffins at 16th. 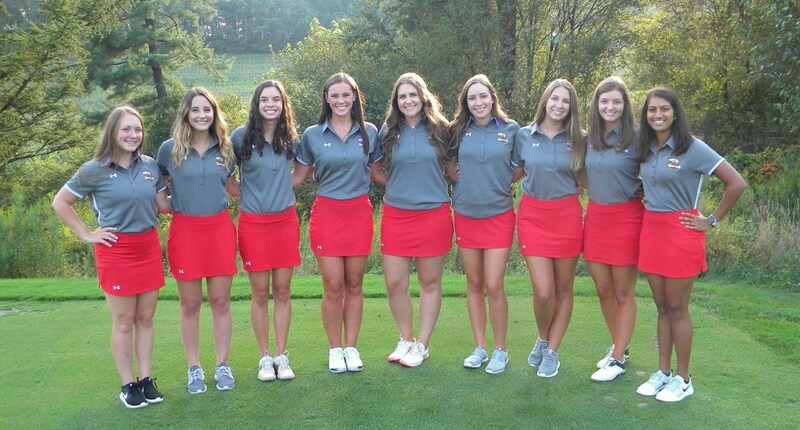 Pictured above is the Seton Hill women’s golf team. While the team only had four women on the roster three years ago, that number has risen to nine this season. Photos from SHU Athletics. The team then traveled to Erie, Pa. from Sept. 7-9 and placed ninth overall at the Evann Parker Memorial. A few days later, the Griffins participated in the Michael Corbett Fall Classic in Erie, Pa. from Sept. 9-10, where they tied for 13th place. The Griffins have two more competitions in the fall season. They will travel to Brookville, Pa. for the Clarion Invitational from Oct. 7-8, and head to Hershey, Pa. to compete in the PSAC Championships from Oct. 19-21. Update: This article has been updated with quotes from women’s golf head coach Dustin Patrizi.